Nov 29, 2017 Posted by AAfterwit on Nov 29, 2017 | Comments Off on Satellite Beach: Coyote Meeting. Tonight at 6:00 PM in the Civic Center, Satellite Beach will host a meeting and briefing on coyotes in the area of Satellite Beach and Indian Harbor Beach. Wednesday night, the Florida Fish and Wildlife Conservation Commission will conduct a coyote educational workshop at the Satellite Beach Civic Center, 565 Cassia Blvd. The public meeting starts at 6 p.m.
FWC conducted a similar event for alarmed pet owners in February 2016 at the Gleason Park Recreation Center in Indian Harbour Beach. Unexpected coyote sightings had popped up in recent months near Gleason Park and the Algonquin Sports Complex, among other areas. “They’re notoriously difficult to trap. They’ve adapted to urban life pretty well. People rarely ever see them. They see the damage they do, lost pets and stuff like that,” [City Manager Courtney] Barker said. Barker said Wednesday’s workshop will feature one-on-one question time with FWC personnel. Satellite Beach officials will summarize the findings, then post information on Facebook. What’s more, Satellite Beach police volunteers will begin posting warning fliers in neighborhoods where coyotes are spotted. 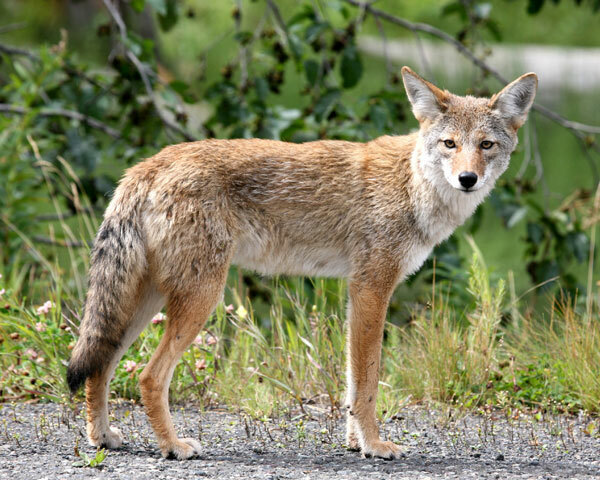 Seems worthwhile to us to learn to deal with the coyotes and to learn what precautions one should take in regards to pets.